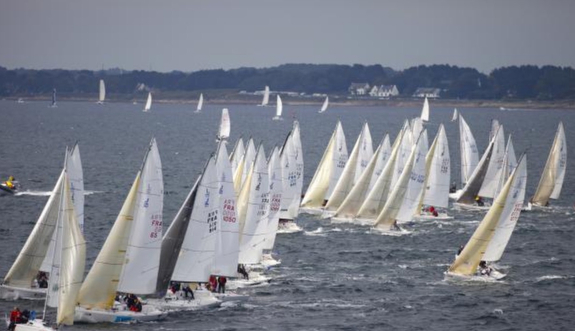 (La Trinite sur Mer, France)- If it’s Easter Bank Holiday, it must be time for the largest regatta in France to usher in the new sailing season! Yes, it is that time again, from April 18th to 22nd, the Societe Nautique de La Trinite sur Mer hosts their annual SPI Ouest France Regatta. The event is simply huge and is also an important gathering place for all sailors, professionals, and marine industry people. 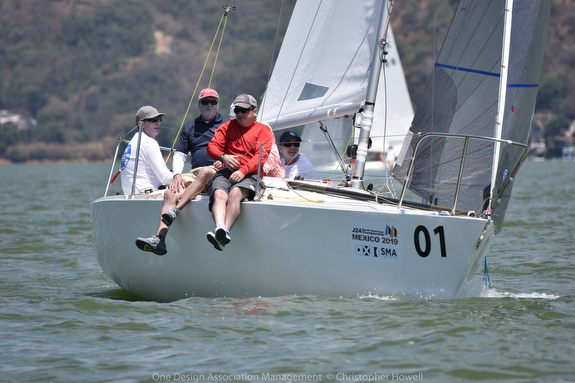 The 2019 edition will have 398 keelboats on the water, of which 98 are a veritable navy of J’s (25% of the total fleet) that include J/70s, J/80s, J/92s, J/97s, J/99s, J/105s, J/109, J/111, J/120 and J/122E. 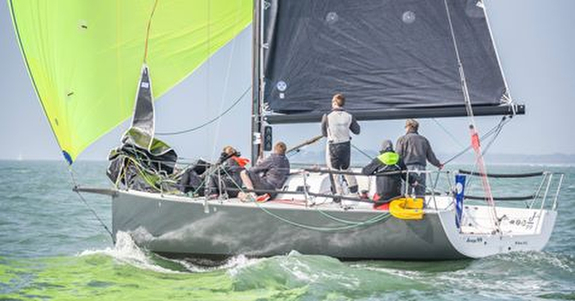 The leading contenders in the IRC Divisions will include the trio of the brand new J/99’s making their first major regatta debut. The stakes could not get any higher than the largest regatta in France run each year! 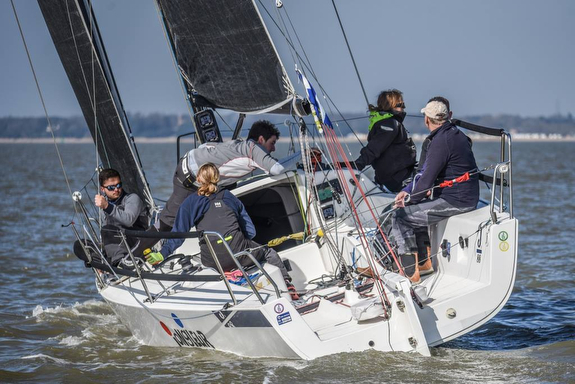 Leading that charge in the IRC B fleet may be Didier LeMoal’s latest J-LANCE 14 from Societe Regate Rochelaises. Then, Olivier Grassi’s J/99 GRASSI BATEAUX is sailing in the IRC Double class against a formidable contingent of top French offshore doublehanded sailing teams. Racing in the IRC A class will be P. Vidon’s J/111 J4F from Societe Nautique Baie St Malo. Joining the J/99s in IRC B are H. Mehu’s J/109 JACKPOT, P. Girardin’s J/120 HEY JUDE, and P. Baetz’s J/122E MUSIX; all three teams are from the host club- SN Trinite sur Mer. In IRC C class will be two J/92s- M. Visbecq’s NAVARCHSOFT and T. Bidon’s DR JEKYLL from CN Lorient. The French version of the American PHRF class is called the Osiris Habitable handicap rule. There are nine J/Teams participating in OSH 1 Division, including four J/105s, S. Blevin’s J/109 JOKE, two J/97s (O. Kayser’s NUAGE II and P. Mabo’s HALIOTIS), and a lone J/24 (A. Garcia’s JERONIMO). 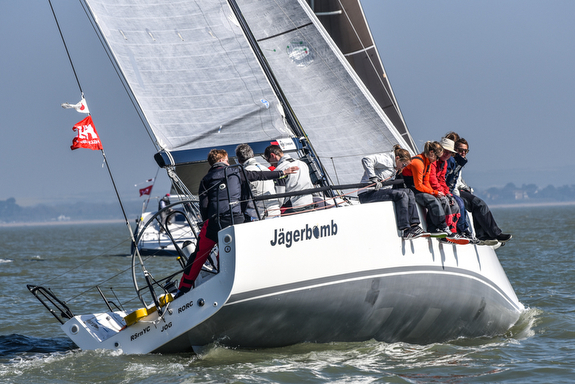 Yet again, the largest class in the biggest regatta in France happens to be the sixty-four boat J/80 class, with representatives from Belgium, Spain, Great Britain and Ireland. The top French teams include Simon Moriceau’s ARMEN HABITAT, Sylvain Pellisier’s INTUITIVE SAILS, Luc Nadal’s GANJA, Ludovic Gilet’s NUMERO J, and Laurent Verdier’s HIP HOP. 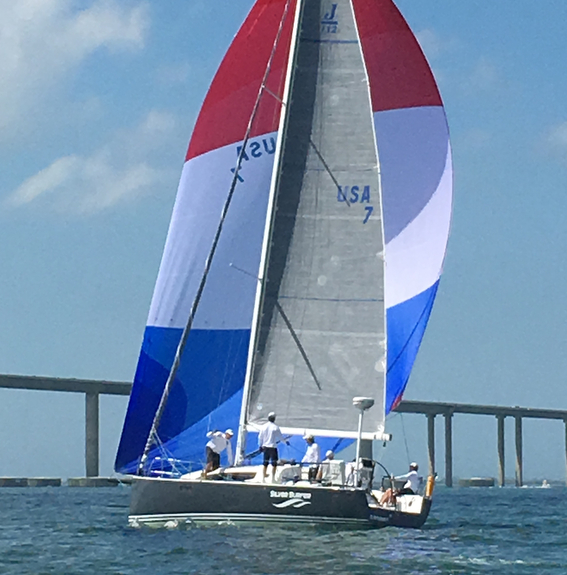 The top visiting teams include Kevin Sproul’s ULTIMATE SAILS/ J.A.T. from Great Britain and J. O’Dowd’s JABS from Ireland. 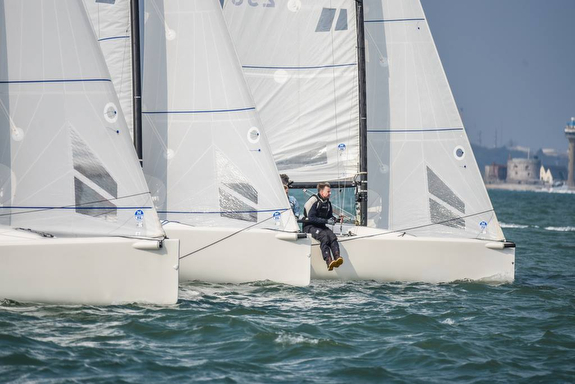 The seventeen-boat J/70 class continues to grow its participation in the SPI Ouest Regatta, and the competition is getting stronger as well, with representatives from three nations- France, Russia, and the USA. The top French crews are Luc Sambron’s HEMON CAMUS, Herve Leduc’s PIERRE OCEANE/ JIBESET. The top visitors include the American B. Vibert on APOLLO J and the Russian/ Spanish team on NEW TERRITORIES, led by Alex Semenov from Moscow with Olympic Medallist Hugo Rocha as trim/ tactics. For more SPI Ouest France sailing information Add to Flipboard Magazine. “I was on a very steep learning curve,” commented ZEST’s proud owner Stephen. “A new crew, new sailing club, new courses and a very special new boat; we are still learning a lot about it! Progressively, through the season, we learnt what the boat was capable of doing in all conditions. We especially enjoyed sailing upwind, with her better pointing and better VMG speed capabilities than our competitors! A special thanks to my crew and our competitor’s, we look forward to racing against you all again next season!” For more information regards the exciting, powerful J/112E sport cruiser Add to Flipboard Magazine. 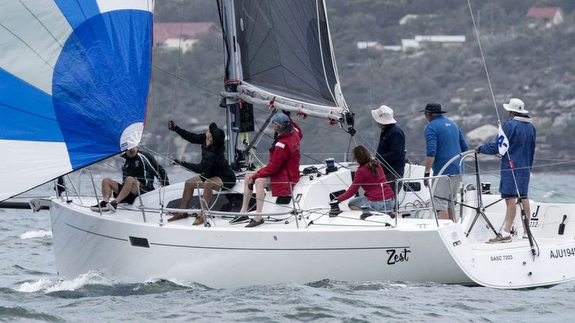 The hotly contested fleet of J/70s have now sailed twelve races. Continuing to lead the class is Paul Ward’s EAT SLEEP J REPEAT with mostly 1sts and 2nds for 15 pts net. Jumping up to second place is Phil Chandler’s BLACKJAX with 50 pts net. Dropping into third place was Graham Clapp’s JEEPSTER with 66 pts. The rest of the top five includes Terry O’Neill’s AQUA J in 4th and Doug Struth’s DSP in 5th place. 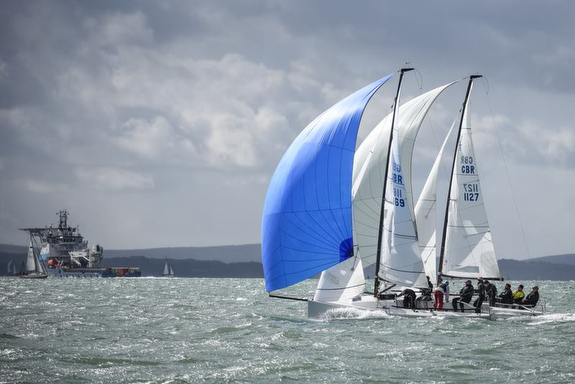 Sailing photo credits- Andrew Adams/ CloseHauled Photography Follow the Warsash Spring Series on Facebook here For more HELLY HANSEN Warsash Spring Series sailing information Add to Flipboard Magazine. As you would expect, a glorious hour of celebration occurred at the dock after clearing customs! All seven of us went below, turned on the AC, had some drinks, ate the full dinner that we had been envisioning all race long, and asked each other what just happened! What an amazing time and great way to celebrate our first win on Silver Surfer!” For more information regards the fast, powerful J/112E sport cruiser Add to Flipboard Magazine. The J/70s saw two boats duel for the class lead on the first day. However, on day two, it was Chris Kostanecki’s JENNIFER that firmly took the upper hand to win the regatta with a 2-4-1-1-1-3 record for 12 pts. While giving them a run-for-the-money on day one, Scott Sellers/ Harrison Turner’s 1FA ultimately had to settle for the silver with a 3-3-4-2-5-1 tally for 18 pts. After starting off with a blistering 1-1-5 to lead the regatta on the first day, Brian Mullen’s ORANGE YOU GLAD lost their “mojo” on day two, posting a mediocre 5-7-9 to close the series with 28 pts and settling for the bronze on the podium. 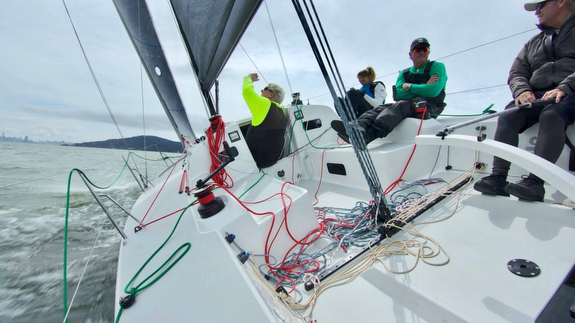 For more J/Fest San Francisco sailing information Add to Flipboard Magazine. 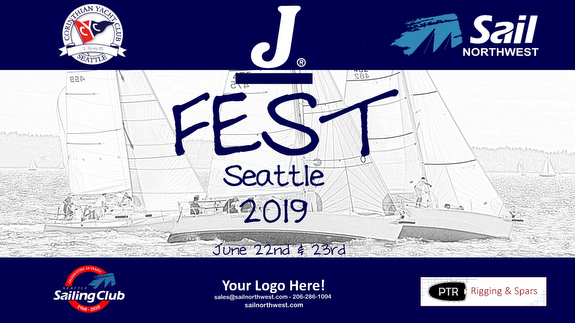 Please contact SAIL NW with any questions about the weekend’s festivities, sponsorship and racing questions- phone# 206-286-1004 or email- sales@sailnorthwest.com Add to Flipboard Magazine. Participating for at least the fourth year in a row are the two J/122s- LIQUID (Pamala Baldwin from Antigua) and EL OCASO (Chris Body from the United Kingdom). 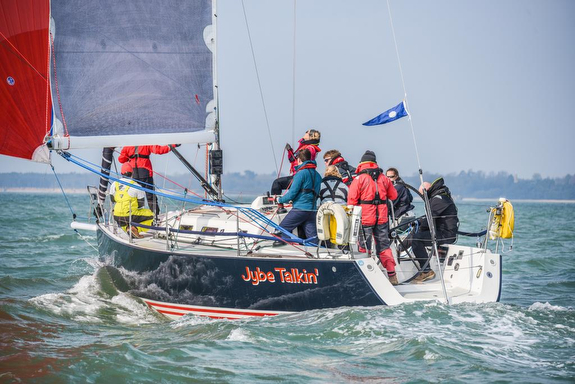 Joining them will be the J/105 SUNBELT REALTY JENK from Curacao, skippered by Jan Henk van der Wier. 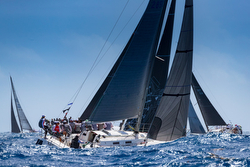 For more Les Voiles de Saint Barth sailing information Add to Flipboard Magazine. Rounding out the top five were top Seattle, WA sailor Mark Laura with buddy Mark Thomas onboard, sailing BABA LOUIE to 4th place. 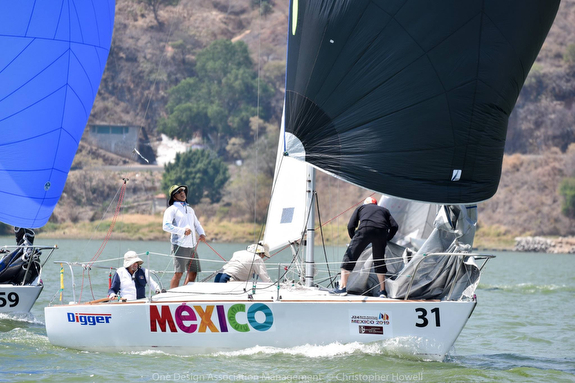 Fifth was another Mexican team, one of the early regatta leaders- Javier Velásquez’s TRINQUETE. For more J/24 North American Championship sailing information Add to Flipboard Magazine. This boat will be a weapon for anyone that wants to go short-handed racing.” Thanks for contribution from Norm Davant and SailingAnarchy.com Add to Flipboard Magazine. 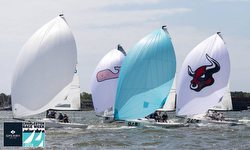 The forecasts are for “breeze-on” for most of the regatta, starting Thursday practice day through the Sunday finale. 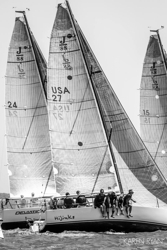 For more Charleston Race Week sailing information Add to Flipboard Magazine.